Good Morning! In previous posts on Gallbladder Health Soup Recipe, I mentioned how much I loved my emersion blender and how I made smoothies with it. I wanted to show you just how easy it is to make them and give you a couple variations. 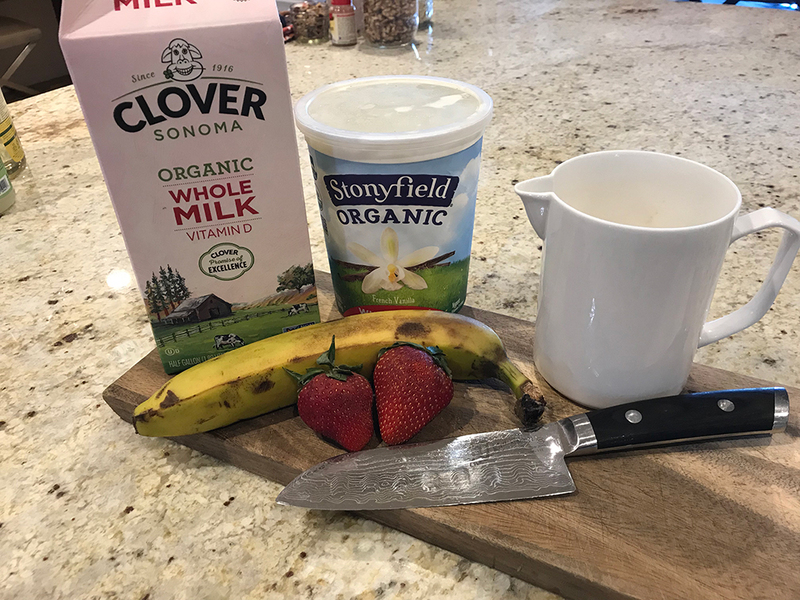 First, you start with 1/2 cup of organic vanilla yogurt. In a large cup (big enough to fit the emersion blender) add 2 strawberries, 1/2 banana, 1/2 cup whole vitamin D milk. 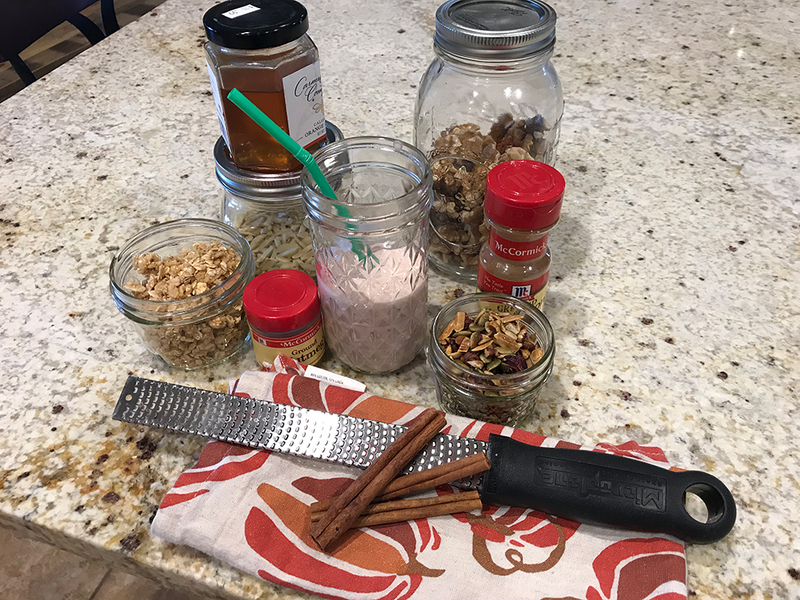 Once you have it all together, put the blender in and voila, you have yourself a tasty and healthful breakfast smoothie. Often times I will put all the ingredients in a large cup and cover it the night before so all I have to do is blend it up in the morning. I’ve blended it the night before and honestly, I don’t recommend it, the fruit and yogurt break down and it doesn’t look appealing at all. In the summertime, I add crushed ice before I blend it and it makes it just a little lighter. For kids use a cup with a straw and lid (or else you will need more items in the cleanup section below). Substitute for any kind of yogurt you want. OR don’t use yogurt at all. Use Almond, Coconut or Fat-Free Cows Milk. Use any kind of fruit you want. Substitute yogurt with Wei protein. Don’t be frightened by the name, it’s just protein powder you can find at any grocery store or even on Amazon (save yourself a trip). While I served this for my daughter, this isn’t just a treat for kids. I have a few fun ways to serve for adults. In the photo below you’ll see how much I love Mason Jars. They are not only cute to serve in, but they are environmentally friendly. Serve in a tall mason jar with a straw. Top with granola, honey, fresh fruit or trail mix. Put some freshly grated cinnamon or nutmeg on top. Sprinkle nuts on top – may want to check with your doc on your gallstone situation I’ve read in some cases nuts aggravate your gallbladder. You can make a smoothie bar with a large group. Use a regular blender rather than an emersion blender for more than 2 people. This entry was posted in Gallstones, Health, Recipes. Bookmark the permalink.